Evan & Kelly Harris of tapas yoga shala, Rock Island, IL. Photograph by Kirstin Pope. Leaving chronic headaches and the corporate world behind, Lisa Acheson, RYT 500, has yoga to thank for her new life of ease. Lisa is a Level 3 Certified Adamantine® Yoga teacher, sharing this practice at the Santosha Yoga studio in Urbandale. Visit lisaachesonyoga.com. Val Brown, RYT 200, is a certified Relax & Renew restorative yoga teacher and the Social Media Manager for Maharishi Ayurveda Products International (mapi.com). She is pursuing an Ayurvedic Wellness Consultant Certification through Maharishi University. Val recently learned Transcendental Meditation, and looks forward to a lifetime of practice. Kirstin Pope of Dubuque first fell in love with photography while working in her father’s darkroom. Today, Kirstin’s photography (rippleinfinity.com) is an artistic blend of color and visual texture that captures the essence of the moment; communicating stories of authenticity, love, and energy. She nurtures her mind-body-spirit through yoga, whole food, nature, and meditation. Laura Creswell is a prenatal yoga teacher and birth doula in Cedar Falls. She received her RYT 500 certification through James Miller Yoga and studied Roots Prenatal Yoga with Sandi Hoover. Laura encourages moms-to-be to feel good in their bodies, prepare for labor, and bond with their babies. Visit lauracreswellyoga.com. Lisa Evans is a seeker inspired by Jnana Yoga, the yoga of knowledge. She discovered Hatha yoga in 1998 and later, meditation. Lisa earned her 200 RYT in May of 2012 and began deepening her understanding of the chakra system by becoming a Reiki Master Healer and Kundalini Yoga instructor. Sterling Hart has practiced yoga for 30 years and taught full time for 18. He is senior teacher of TriYoga, training directly with founder Kali Ray. He holds multiple certifications in systematic flows, breathing, and meditation. He also helps operate TriYoga of Cedar Rapids (triyoga.com/triyoga-in-cedarrapids-iowa), a non-profit yoga center. Co-Founder of the revolutionary OUTLAW Yoga practice (outlawyoga.com), Justin Kaliszewski is an avid student, artist, and adventurer. He infuses creativity and perseverance into his teachings, along with humor and wisdom. Author of The Outlaw Protocol: how to live as an outlaw without becoming a criminal, find him on the OUTLAW Yoga channel: yogadownload.com. You believe in “shop local” and support small and medium-sized businesses. You know how to promote the good work of others. And through your motivation and innovation, you can unite all of these aspects for dynamic results! YogaIowa is expanding its advertising sales team. We’re ready for your ideas, dedication, and talent. Call Angela at 515-979-5585 or email angela@yoga-iowa.com to learn more! Olivia Kvitne is program director for Yoga for First Responders through the Give Back Yoga Foundation (givebackyoga.org/yffr). She’s written for YogaIowa since its inaugural issue. Olivia is the yoga instructor for the Des Moines Police Academy, the Des Moines Veterans Association, and the Carlisle Fire Department. Sheree Clark, EdM, AADP, CHHC, is a holistic health and nutrition expert with a private practice she calls Fork in the Road (fork-road. com). A charismatic author, presenter, motivator, raw vegan chef, and television personality, Sheree inspires and helps people to get the most out of life by improving their health. You have a passion for health and wellness. Gail McCarthy has been involved in health and healing work for over 35 years as a nurse, educator, holistic life coach, and certified Healing Touch practitioner and instructor. She’s currently in private practice at Life in Balance, (facebook.com/ lifeinbalanceankeny), where she helps clients explore a deeper connection with self. Ann Jackson, PBVM, savors her ministry at Prairiewoods Franciscan Spirituality Center (prairiewoods.org/), a place of deep transformation for all. As spiritual director and retreat coordinator, she enjoys engaging people in co-inspiring one another on the spiritual journey. YogaIowa’s Managing Editor Tracey L. Kelley, RYT 500, teaches at her boutique yoga studio in South Des Moines and specializes in working with beginning students. Tracey is also the founder of re: communications, a firm focused on improving communication through mindful listening. Learn more at recommunicationsmedia.com. Renee Posner is VP of Marketing for Maharishi Ayurveda Products International (mapi.com). She has a biology degree from American University and studied physiology at Georgetown University School of Medicine, providing her early foundation in health and critical thinking. She also teaches Transcendental Meditation, which she has practiced for 35 years. Angela Sands is certified meditation teacher who joyfully teaches anyone with a desire to learn. Creative and curious, she is whole-heartedly engaged in a courageous journey of self-realization as she is fully committed to guiding people on the most exciting adventure of all: the journey inward. Visit her online: cloudninemeditation.com. Melissa Stukenholtz of Gorman House Photography (gormanhousephoto.com) lives on a farm in rural Jamaica with her two dogs, one cat and 17 organic free-range chickens. Yoga, meditation, healthy meals, and enlightening conversations are a few of her favorite things. Tiffany Thomas started her teaching journey as a passionate teacher of power yoga. Currently, she’s the only certified AcroYoga teacher within the state. She teaches weekly AcroYoga classes in the Des Moines metro. To catch AcroYoga workshops near you or to request one, join AcroYoga Des Moines on Facebook. Laura Weber serves as retreats coordinator and associate director at Prairiewoods Franciscan Spirituality Center (prairiewoods.org/). She loves accompanying spiritual seekers on their wild adventures with mystery. Jeff Wright, BA, MA, and E-RYT500, has taught yoga since 1986. He and his wife, Tracey, operate People’s Yoga (peoples-yoga.com) in Platteville, Wisconsin, specializing in group Hatha classes, individual instruction, and meditation practice. Jeff is also on the yoga teacher training staff at Body and Soul Wellness Center in Dubuque. 1 IN 4 PEOPLE ARE VITAMIN DEFICIENT. ARE YOU? FIND OUT THROUGH NUTRIENT TESTING AT WHOLE WOMAN HEALTH. Now accepting Wellmark Blue Cross & Blue Shield and UnitedHealthcare insurance! “Yoga Giving Back” is the theme of YogaIowa’s Spring 2016 issue, and it’s the perfect opportunity to announce our Seva Service Award. In Sanskrit, seva means selfless service, and service is part of what yoga is. Yoga can be physically satisfying, but it’s something so much more! It’s a practice that invites us to recognize what’s important and to act on it, to be part of something bigger. The Seva Service Award is designed to recognize an individual, organization, or yoga studio for the difference they’re making by inspiring consciousness and igniting grassroots social change in the areas of – Neem Karoli Baba human or animal rights, protecting the environment, sustainable local food, organic farming, or offering yoga classes to underserved populations, such as prisoners and at-risk youth. The list of possibilities is limitless. Based on your nominations, the YogaIowa advisory board will select an awardee, and the winner will be announced in our Fall 2016 issue. All nominees and their efforts will be featured in that issue as well. 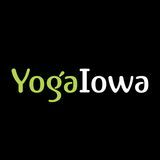 To nominate someone for consideration, go to yoga-iowa.com/seva by Friday, July 1, 2016. More details to come. Love all, feed all, serve all. Maybe it’s a yoga teacher who rallies her community to raise funds for food banks. Or a studio collecting gently used yoga mats for schools. It could be fostering community collaboration to benefit someone who has experienced a tragic hardship or an individual who is initiating local and global service projects. Whether they’re crusaders, activists, or change makers, we want to share their stories in the Fall 2016 issue and inspire others to recognize the service of yoga and create a path to give back. HELP US CONSERVE RESOURCES. Share this publication with a friend. Recycle it when you are done. witness strangers practice acceptance for themselves and others, to laugh, and to love in a safe container. It’s a blessing to allow yourself the opportunity to fall and recognize that it’s a part of life we can’t avoid, figuratively and literally. “Trust me,” and so I did, so I have continued to do, and will continue to do so with every Acro enthusiast who offers me presence, compassionate communication, and trust. hysical yoga is a powerful and somewhat amoral system. That is a shocking pronouncement, but truly, most of what happens in the yoga studio has little to do with the art of relationship. Asanas definitely cultivate fitness and good health, but good health usually includes a strong libido, and there is little in the poses that wisely manage our interests. There is nothing directly applicable to romance or any other sort of joyous rapport. Therefore, to meet our hopes for relationship, we should look further into the greater, more comprehensive yoga package. And there we find, protruding like a chunk of bedrock, the abiding practice of sitting in stillness. Everything we do in yoga should be in support of that practice. Fitness, healing, the balancing of vigor and relaxation, an aphrodisiac even, are all secondary benefits. Side effects, you might say. The essential purpose—the heart of yoga—is no more and no less than calm, alert stillness. Out of that stillness, mainly of body but also of thought, feelings of appreciation arise quite insistently and spontaneously. In stillness, we witness the miracle of the ordinary. Appreciation becomes affection, affection becomes gratitude, and with gratitude comes a genuine impulse to serve. None of this needs to be driven and directed cognitively. It just happens. Always. Patanjali said it That said, sitting still of in the all-defining muscle and mind, simple as it is, is often frustratingly second sutra of difficult, and then we rummage his Yoga Sutras, for help in our kit of asanas, pranayamas, bandhas, mudras, therapies, visualizations, affirmations, good deeds, diets, dharma talks, chants, altars, mantras, malas, and prayers. All, in the end, are to the benefit of our stillness. Visit the Way of Stillness Patanjali said it in the all-defining (wayofstillness.com) to learn second sutra of his Yoga Sutras, about Wright’s weekly event, the “Yoga is the stilling of thoughts.” Way of Stillness Sitting Group in Therefore, what we call love is Platteville, Wisconsin, and other not so much a feeling as an action, happenings, as well as his books the action of spontaneous service. and collected writings. It may be petting the good old dog, rescuing the hornet in the window, cleaning the bathroom for the family, or kicking back in a lounge chair with a cup of hot coffee and a good novel. (Yes, the impulse to serve ourselves is completely legitimate here.) And it may be love-generated, appropriate and wonderful, physical intimacy with someone. Or it may be no physical intimacy with anyone. True service/love has no duty, no definition, no expectation, no requirement. Stillness often brings forth the impulse of kindness for the diligent sitter, exposing it as the soft, imperishable fabric of existence itself. Sitting in stillness nurtures the insight quite reliably and becomes the most trusted guide in any fulfilling relationship. As our talking brains rest, our hearts take action. Of course, such loving connection can also arise regardless of any particular sort of effort we might make, but if you wish to move deliberately in that direction, sit erect and motionless often for a goodly amount of time, and, when possible, with others because stillness breeds stillness. Sit still, find love. That is the heart of yoga. BOOST IMMUNITY THE AYURVEDIC WAY BY VAL BROWN AND RENEE POSNER Beej-bhumi, the immunity principle in Sanskrit, means “seed and land.” As a farmer prepares the land, so his seeds will grow. Likewise, we prepare our bodies through our habits, diet, and routine, creating the environment for a balanced lifestyle. Begin your day the Ayurvedic way with dinacharya, or Ayurvedic morning routine, to balance your body and control ama, the toxic by-product of inefficient digestion and metabolism. This will boost immunity and help avert the symptoms of imbalance. Ayurvedic Morning Routine 1. Wake up with the rising sun. 2. Take care of bowel and bladder needs, but don’t strain. 3. Wash your face. 4. Brush your teeth and scrape your tongue. If you have ever noticed a film or coating on your tongue in the morning, your body may have a buildup of ama that can compromise your digestive and immune systems. Tongue scraping removes ama before it gets reabsorbed by your body. Place a silver (which has antibacterial properties) tongue cleaner as far back on your tongue as comfortable. Gently yet firmly, scrape the entire surface from back to front. Rinse and repeat 3-5 times. 5. Garshana is a self-massage, done with textured, raw silk gloves, that helps remove ama and creates movement in the lymphatic system. Start with dry, clean skin. While wearing the gloves, apply medium-firm pressure and vigorously massage back and forth over the long bones and in circular movements over the joint areas. Avoid massaging over the heart and breasts. It takes less than five minutes! 6. This is a good time to drink a cup of warm water. 7. Abhyanga, or warm oil self-massage, goes a long way toward soothing the entire nervous system and emotions. This powerful tool, utilized before or after a shower, has healing qualities, including increased circulation, stimulation of nerve endings, and removal of toxins from the body. After the oil is applied to your skin, it’s best to wait 10-15 minutes for it to penetrate. If you don’t have this much time, it’s OK to jump into the shower. Use the time in the shower to try step 8! 8. Oral oil-pulling: use sesame or coconut oil to detoxify or “pull” toxins. This simple routine involves swishing the oil in your mouth, side-to-side and through your teeth (not gargling). Use one tablespoon of oil in your mouth for 2-20 minutes. 9. Bathe or shower. Use warm rather than hot water. 10	Perform asana and pranayama. Exercise helps to boost agni (digestive fire) and natural immunity, as well as calm the mind and body. 11	Practice Transcendental Meditation® for 20 minutes, or the technique of your choice. 12. Eat a light, well-cooked breakfast. A stewed apple or pear and/or warm cereal is ideal. 13. Then…work or school. You’re ready to take on the day! Take these recommendations one step at a time; don’t feel overwhelmed. And remember that each step in your daily routine prepares your body so that you may grow happy and healthy all year long! For more Ayurvedic tips visit mapi.com. learning to Embrace your Inner Beat BY ANGELA SANDS How do you live from the heart? I’ve been practicing this way of living for several years and can tell you that it’s an ongoing process filled with trial and error. Sometimes it’s like walking through a dark room with your hands stretched out in front of you doing their best to feel their way around. It takes a healthy dose of curiosity, courage, and faith. Living from the heart has terrified me and led me to places I never imagined I would go. Today I find myself experiencing new levels of awe and wonder, and have arrived in a place where life has become an ever-unfolding gift full of surprises. For me, this is the greatest reward of living from the heart. It’s never boring. And, in my experience, my heart has never led me astray. My initiation into heart-centered living started with a fully ensconced mind. Oh, the mind! It’s a clever thing. Our minds are data centers that have been capturing and cataloging information since the day we were born. Our minds are as knowledgeable as the data that feeds it, so when it comes to designing a life, the mind prefers to work with what it already knows. It has a tendency to affirm itself over and over and to lead us into cycles of the ever-repeating known. This is safe and comfortable. It’s a good system for getting things done. However, it can drown out the voice of the heart. The mind’s voice is loud. The heart’s voice, at least for me, is very quiet. A few years ago, in a moment of stillness brought on by pure dysfunction, my heart got through to me. “Learn to meditate,” I heard it say. I scoffed at the idea. The voice was a whisper and it again urged me. “Learn to meditate.” Still scoffing, and with an added dose of self-righteous disdain, I googled the word “meditation” in order to prove that what I was hearing was indeed a ridiculous idea. It turns out that my heart was leading me to a tool that has completely transformed my life. The key for me was getting quiet. My dysfunction was a blessing in disguise. Without it I don’t know that I would have heard my heart leading me to what it knew I needed. Now that I meditate, I’m quiet every day on purpose. In that quiet I hear the voice of my heart and move my awareness from my mind, which is focused externally, to my heart, which is focused inward. Inside is where wisdom lies. It’s where love and compassion come from, and it’s where inspiration ignites. Inside is where wisdom lies. It’s where love and compassion come from, and it’s where inspiration ignites. It’s the place from which we can create an extraordinary life by making decisions that resonate with who we intend to be rather than being defined by our mind’s limited understanding. It’s the place where you feel your way through and, with practice, patience, and trust, prove to the mind that everything is going to be just fine. breathe in and out of your nose. Count your breaths: Bring your focus to your breath as you count your breaths to 10. Close your eyes: Instantly regain a sense of balance and relaxation. Smile: Smiling releases endorphins that help you feel better. Slow down: Do one thing at a time a little slower than usual. Fredrickson’s site, Positivity Resonance (positivityresonance.com) outlines more concepts from Love 2.0, connects you with her Happify mobile app, provides access to her specialized meditation sequences, and offers resources for other meditations from whom she calls “true masters of LKM.” The PEP Lab (positiveemotions.org), studies people’s emotions, particularly their positive emotions, and how they affect thinking patterns, social behavior, health, and physiological reactions. It features a number of resources to help your quest of living a full and meaningful life. Are we in tune with what we are experiencing? Our feelings allow us to be alive and awake. When we pause to recognize a feeling, a thought, or an emotion, we create a space in time for acknowledging ourselves. That is a gesture of self-love. Max Strom teaches personal transformation & yoga worldwide and is known for inspiring & impacting the lives of his students. HIs methods address the internal, emotional, and spiritual aspects of our life, as well as our potential for physical healing. He is the author of:, A Life Worth Breathing There is No App for Happiness. Self-love is rooted in compassion. Compassion helps connect us with all aspects of ourselves and awakens gratitude for self and for others. Be mindful of judgment and replace it with compassion. That is a gesture of self-love. Take time every day to just be with yourself, such as practicing yoga, walking in nature, or pausing to re-center your energy to create an ongoing pattern of self-love. As we cultivate that love, it opens our heart chakra and helps us maintain more loving relationships with others and our environment. Take a moment right now to open your heart and mind. Send loving waves of gratitude to yourself as you fill every cell of your body with appreciation for all that you are by using the intention, “May I be happy and feel love.” That is a gesture of self-care and self-love. Yes, all we need is love. Love heals. Love restores. Love starts within, and love is the union that makes us all one. “We met 15 years ago in the yoga class we still attend. One fateful night,our teacher Mary paired us by height for partner asanas. Until that moment, Bev was the quiet woman in the back row, and Joel was the divorced guy in front. TOGETHER 18 YEARS PRACTICE: SPARK BARRE PILATES AND YOGA, URBANDALE “We walk through the studio door together, each ready for our separate practices. We move, breathe, and sweat a while on our mats, leaving behind what we cannot change. “Yoga enhances every aspect of our relationship by giving us a common spiritual direction. The award-winning author of “The Hope” is coming to Iowa! “Our yoga and meditation practices help remind us to be compassionate and patient with each other, as well as ourselves. Feel clean and good. Here’s $20 toward your carpet cleaning service. We’re waiting for you at zerorezdesmoines.com. any seekers might Love as a way of describe the living is all about spiritual odyssey paying attention to as a “journey of a lifetime.” Arjuna, Buddha, the central, dynamic Moses, Jesus, Mohammed, energy that enlivens and all who have followed in and enlightens, their footsteps experienced strengthens and the fullness of the Divine through obligation, suffering, attracts, heals and isolation, freedom, cessation of cultivates peace. desire, disillusion, obedience, selfless service, surrender, and submission. There are as many paths as there are restless hearts, noble intentions, and courageous pilgrims. Yet we are all one: all one in spiritual poverty, in search, in service, in becoming—magi companions on the journey following the star. We often discover as we engage this magnificent journey that the road is neither linear nor transparent. Rather, it’s illumined one step at a time, one act of love at a time. So often, we are rewarded for overworking, taught to live in our heads and to ignore our bodies. However, our energetic awareness, imagination, curiosity and embodiment are integral. Inhabiting our bodies with intention is critical. Modalities such as yoga, tai chi, qigong, massage, meditation, and many other spiritual movement practices invite us to become more fully present to each moment of life, to each moment of love. Through these, we develop skills to drop more deeply into our awareness within our bodies, allowing our mind to simply notice without judgment. We hone our ability to recognize and interpret sensory information and subtle cues in our body and our environment. These empower us to actually recognize divine love when we experience it. Love as a way of living is all about paying attention to the central, dynamic energy that enlivens and enlightens, strengthens and attracts, heals and cultivates peace. Love celebrates compassionate presence, active listening, and silent stillness required to deepen our sense of oneness. Kindness, gentleness, and patient trust are its hallmarks. Love fosters wholeness via selfemptying, by engaging our capacity for expansive compassion and forgiveness. This emerging path assures no tidy answers, nor does it promise absolute certitude. Instead, love’s sacred journey offers generative space for creativity, imagination, and deep, steady breath which energizes each cell, each chakra. That still, center point where love resides, where the heart of the Divine beats harmoniously with our own, creates profound interconnection and joy. Love transforms! We experience a deep rush of energy and deep connection. On this journey, love songs sing us. Poetry writes us. Art paints us. Sun, moon, and stars embrace us. We are open to oneness all in an astoundingly vibrant creation. Spiritual awakening is a gradual process of travelling in love to one’s center, conscious of the great call within us, the great energetic exchange among our co-passions. Love can’t help but go extend beyond self, accompanying and creating new life and new passion in the process. Love supplants fear and self-doubt with union and co-creation. When we follow its beckon, we become love. We can be loved; we can be love. Love grounds us in forgiveness, compassion, care for and with one another, tending to Earth, creating new wholeness in ourselves, family, friends, workplaces, communities, and the world. As the ground of our being, love is ours to live. CHAKRA. BY LISA EVANS The chakra system allows us to conceive of subtle energy that enters our consciousness and affects change at a physical level. The chakras begin as seven vortices of energy running the length of our bodies, each in their place and with their purpose. Much like the heart is the center of the circulatory system, these seven chakras are at the center of our energetic system. Just as it sounds, the heart chakra resides in the area of the sternum. When we place our hands in anjali mudra, thumbs resting on the sternum, we are making contact with our heart chakra. It’s the connecting bridge between the lower triad of chakras—root, sacral, and solar plexus; and the upper triad of chakras—throat, third eye, and crown. The lower three chakras work with our physical needs and worldly concerns—survival, creativity, and identity. Meanwhile, the upper three chakras work with universal consciousness—power of projection, intuition, and divine connection. When we place our hands in anjali mudra, thumbs resting on the sternum, we are making contact with our heart chakra. As our perspective widens, it opens up new aspects of ourselves. We have the ability to speak our truth from a place of calm loving-kindness. This gives rise to an open awareness and deeper understanding we call intuition. Moving through that place of intuition, the deeper intelligence within us begins to connect to the divinity we originated from. In this place of bliss, nirvana, Christ, or consciousness, we see that we are not alone, but part of the whole. In this way, the heart chakra is love, but love that is deeper and more spacious than we realize. o you commit to staying the full ten days? Check. Do you understand that Vipassana is not a break or chance to relax from life? Check. Do you agree to adhere to all precepts including silence, abstinence, and refraining from all forms of exercise, reading, writing, intoxicants, stealing, and harming any living being? Check. Have you taken intoxicants in the last two years? Check. If so, what and how often? Various/daily. Arriving at the Vipassana meditation center outside of Rockford, Illinois, I felt less like I was on vacation and distinctly like I was checking in for rehab. Maybe I was. “We don’t allow any shorts. Did you bring pants?” “Couple pairs of short pants.” “Do they cover your knees for meditation?” “Aren’t your eyes closed in meditation?” I joked. Never mind that it was 90 degrees outside. Silence was the only answer offered–a preview of things to come. Apparently my vacation from sarcasm was to start right now. “Yes.” “Good. Drop off your things and report back here when you’re done for further instructions.” You know the Cherokee story about the two wolves we all have inside of us? One good and one bad and the one you feed thrives while the one you neglect dies? Well that story’s bullsh!t, ‘cause I have at least four wolves inside of me, and I watched in silent horror for the first few days as two of them tag-teamed the good one while the third fed on me. Silence provides a mirror straight into one’s being. Naturally, I wanted to hop the fence and run by day two. Day three saw me scouting the perimeter, planning my escape. Instead I was inspired by a friend’s voice in my head; Brazilian recording star Marco DiFerreira singing to me said, “Don’t worry…about a thing…’cause every little thing…is gonna be alright.” By day four my sweats were gone, replaced with joy in facing the day, even at the ungodly hour of 4 a.m. By day 10, I was reluctant to leave and wanted to begin the course all over again. At the end of the retreat, everyone does a little job to help prepare the space for the next group. A veteran of the program, my friend Wendy took the liberty of signing me up for a simple but profound task: I was to open the front gate, freeing the participants. It took all of 30 seconds, but on the heels of 100+ hours of meditation, it was the most satisfyingly simple task I had ever completed. I sought out Vipassana because I felt empty, hollowed out, and used up by the yoga industry. I was nipping and tucking along with the aid of energy drinks and marijuana and found in it a simple, effective, accessible technique for generating sustainable peace from the inside out. I’ve had the fortune to walk a fair bit of this Earth, and yet everywhere I’ve ever been, I’ve found… myself. I’ve sat in sadness on the most beautiful beaches of Thailand and walked through madness in the hills of the Himalaya, but sitting in silence in Illinois was easily the single most difficult and transformative trip I’ve ever taken: the first step on a long journey to awaken. Travel isn’t necessary for transformation, but removal from our patterns is. In a weird way, sometimes the most reliable way to do that is to travel thousands of miles away from our routines. wonder Trying to fall asleep on the m my head to my toes, a sense of Fro . me hin wit d pte eru on ati cre that is all of this collective we miracle that is me, and you, and was rekindled within me for the in, the beauty and l days I slowed down, took it all era sev t nex the For ty. ani hum l I’ve never been cal on. That and talking on day 10: ati cre and n tio bus com of y ves the ilit tranqu . Sometimes it’s a removal that pro ate nic mu com to lity abi the by so awestruck most fruitful seed for gratitude. Vipassana, which means to see things as they really are, is one of India’s most ancient techniques of meditation. This non-sectarian technique aims for the total eradication of mental impurities and the resultant highest happiness of full liberation. The Vipassana organization is run entirely by volunteer effort and on donations from former students. Courses are taught in various languages at hundreds of centers around the world, providing peaceful spaces in many destinations for one to awaken. For information on nonsectarian, non-religious, donation-based, 10-day courses near to you or far from you, visit dhamma.org. Favorite yoga pose: Child’s pose, definitely! Something you splurge on: Traveling! I love attending workshops in other cities, backpacking in the mountains, and experiencing other cultures around the world. I’m also not stingy when it comes to finding delicious craft beer! One thing people don’t know about you: I played the violin growing up and throughout college. What inspires & motivates you? Surrounding myself with people who live wholeheartedly. Why do you practice and teach yoga? I practice yoga because it keeps me balanced. It’s a daily reminder that I can be strong and flexible, calm and energized, grounded while reaching for the stars. I teach Prenatal Yoga because it’s a joy to bring mamas-to-be together and give them tools to feel good in their bodies, confident in labor and birth, and empowered in their choices. What makes your style of teaching unique? I keep my classes small and intimate, and begin each class with a discussion. This allows me to teach to what the class needs that day: poses for pregnancy discomforts, breath techniques to balance energy, simple words to soothe or reassure. I encourage mamas to go within and listen to their bodies, while not taking themselves too seriously. How has the yoga philosophy resonated with you? How to focus on the journey; how to do my work without striving for an end goal. One step, one posture, one breath at a time. Give the gift of focus, strength and balance with this 41 card deck of kids yoga poses created by Molly Schreiber. Molly is a fitness/yoga instructor, childrens author & wellness coach. Does your partner do yoga? He doesn’t “do” yoga regularly, though I’ve gotten him to admit that it’s probably good for his running body! I believe he practices yoga in other ways: running, hiking, being in and with nature. We support each other by sharing the unique ways we connect to ourselves and the world. Why did you choose to become a birth doula? I originally intended for my doula training to simply expand my skills as a prenatal yoga teacher, but it became much more. It’s rewarding to help women apply the techniques they learned in class during labor, and it’s valuable to apply my experiences attending births in yoga classes. Can you describe what it’s like to share in that loving moment as someone begins a new life? Not even close, but I’ll try! So many words come to mind, though none of them seem to be quite enough: beautiful, blissful, electrifying, vulnerable, empowering. Though as a doula, these aren’t my emotions to feel or own; it’s incredibly humbling to witness such a meaningful moment, to take a small supporting role in something much bigger than me. Upcoming Highlights: Professionally, I’ll be a certified birth doula soon. Personally, I’m planning a through-hike of the Pacific Crest Trail with my husband!. ood takes on various levels of significance during different phases of a relationship, and a spouse or partner can be a huge influence on your overall health. Food is often symbolic: during the early days of couple-hood, going out to eat may be a frequent occurrence and a way to celebrate the new union. This focus on food doesn’t automatically translate to weight gain, however, as people in the infatuation stage of a relationship often have reduced appetites as well as an abundance of nervous, giddy energy. (Of course, they may also burn off a lot of the extra daily calories before—or after—lights out!) Once a couple has settled down a bit—and the pressure of competitive dating has lessened— weight gain is more likely to occur. A couple’s lifestyle may start to revolve around more carryout and more meals at home, perhaps followed by sedentary evenings on the sofa. Unless the partners already have similar eating habits, one will typically influence the other and some sort of a shift may occur. In other words, one partner’s lack of portion control or one’s preference for healthy foods may eventually become the norm for both. Of course, not all couples go through this scenario, and falling in love doesn’t have to mean falling out of shape. Here are a few steps you can take to keep you and your partner on track: honey overdoes it with the snacking doesn’t mean you have to keep pace. If you’re happy with raw veggies, don’t feel you have to eat the other half of the fries. And if an activity was important to you before you were part of a couple, it should be important once you’re in the relationship. Don’t ditch your weekly jog with a friend or quit the office volleyball team just because you’re part of a pair. gain when your go-to outfit at home is a pair of sweats. Try slipping into a pair of fitted jeans at least once a week to keep love chub in check. together, you’re probably also nibbling on tortilla chips, buttered popcorn and other high-calorie snacks or drinks. Instead, relax and enjoy each other’s company, without involving food. When you do eat together, ditch the distractions and be aware of what you’re consuming, including how much. commitment to replace processed food and convenience with healthier fare. Take a couples cooking class and prepare healthy meals together. Fit it in. Seek creative ways to get fit as a couple. Place the figs in a bowl . Co about an hour, until soft ver figs with water and soak for blender, blend the figs an. Do not discard soak water. In a enough soak water to fo d vanilla until smooth, adding just rm the fig mixture to a lar a creamy consistency. Transfer ge bowl, and stir in the nut butter. In a separate bowl, mix th salt. Gradually add the e cacao powder, hempseeds and dry cacao mixture into the wet fig mixture. Stir well. Press evenly into an 8”-square brownie pan, and freeze until firm, about 3 hours. To serve, cut into squares. Do yoga together. Plan an adventure vacation. Take couples’ dance lessons. Sign up and train for a halfmarathon. Try something that’s new for both of you, but work out by yourself sometimes, too. Finally, if it’s your partner who’s put on some weight, don’t nag. It’s not likely to help and could drive a wedge between you. You might suggest taking a walk after dinner or start cooking more low-fat meals, but keep it positive; just by making your own more healthful choices, you’ll likely have an impact. 515-277-9721 www.FitnessByDesignDM.com Let us guide you on your Fitness Journey! Visit our website for a Complimentary Class Pass for a Yoga, Strength, HIIT, or Pilates Mat class. Love is a profound experience. It gives a deep sense of intimate connection, and it is accompanied by joy and a vividness of life. It empowers one to live. You feel most alive when you’re in love, but it also brings with it desire, attachments, jealousy, disappointment, insecurities of all sorts, a crowd of social pressures and influences, a need to control, and a sense of conditional self-worth. The love we have for family is rooted in a shared sense of wanting the wellbeing of our family and sharing in their struggles and suffering as well as their happiness. In yoga, as the body, breath, and mind are developed, this both sets the stage for love and allows the love we already know the freedom to expand. Love provides a connection, a doorway, not to the desire and relationship dramas of the past and present, but to a higher sense of aspiration, realization, and experience. This is found in ananda, or bliss, and yoga practice leads to bliss. As we clear away the tension from our bodies, and increase the prana, or energy, smoothing with the breath, the mind becomes calm and clear, and the natural love, the natural bliss emerges. We connect to the atman, or the soul, the real self beyond ego. Love provides a connection, a doorway, not to the desire and relationship dramas of the past and present, but to a higher sense of aspiration, realization, and experience. Bliss experiences vary from being all absorbing to just beneath the surface of life. Bliss felt as intense happiness can make everything seem beautiful and wonderful. The beauty of something doesn’t cause the bliss; the bliss causes you to see the beauty, to experience with delight and joy. Bliss emerges out of peace and light, the profound clarity of meditational awareness. It brings knowledge, wisdom in action. At higher levels, it seems that we have such extreme joy and that we are totally in love. But there is no object—it is not the conditions. We are that feeling, but it is complete and requires nothing. When love is derived from such an experience, the feeling of joy, the feeling of happiness, the vivid sense of intimate connection is not dependent on a person, or a group of people, such as family. It is something that is shared with people. Everyone seems deserving; we want everyone to feel happy. Even when there are disturbances, such as anger at this or that, or petty frustrations that we encounter in life, there is still a sense that when we center and go inward, there is happiness, a vast peace, and true purpose that guides us. It feels that the world wants us to feel happy, and life itself is a precious gift. TAX PREPARATION FOR BUSINESSES AND INDIVIDUALS A strategic tax review of your financial position can greatly reduce your tax burden. CONSIDER LOVE FROM ALL ASPECTS. Bhakti Yoga: The Yoga of Love and Devotion by Swami Vivekananda One of the four paths of yoga, Bhakti Yoga relies on the guiding principle that every soul is potentially divine, and to travel this path is to see God, however defined, as the embodiment of love. This book from an ancient mystic encapsulates more concepts of Bhakti. Yoga for Transformation: Ancient Teaching and Practices for Healing the Body, Mind, and Heart by Gary Kraftsow As founder of the American Viniyoga Institute, Kraftsow uses this book as an extension of his techniques designed to transform not only a practitioner’s physical body, but also mind, emotions, and soul. The Complete Yoga of Emotional-Sexual Life: The Way Beyond Ego-Based Sexuality by Avatar Adi Da Samraj Moving beyond sexuality as merely a physical practice, spiritualist Adi Da encourages practitioners to recreate more powerful intimacy by first transcending ego and overcoming emotional patterning. The Yoga of Relationships: A Practical Guide for Loving Yourself and Others by Yogi Amrit Desai The founder of the Amrit Method of Yoga Nidra and the Amrit Yoga Institute in Florida, Desai believes relationships are a progressive unfolding of the Spirit, and guides readers toward the understanding that you never experience your relationships the same way from day to day. by Leza Lowitz Award-winning author and owner of Sun and Moon Yoga Studio in Tokyo, Lowitz created sixty poems, inspired by Tibetan Heart Yoga, expounding upon the Buddha’s six perfections: wisdom, joy, generosity, kindness, patience, and stillness. Receive 10% off any 2016 program or retreat with this ad! Good for one event in 2016 for which Prairiewoods accepts registrations. ne of my favorite aspects of living in Des Moines is discovering the hidden gems that make this city unique. After 21 years at the Art Center, Trellis Cafe, owned by Chef Lisa LaValle, found a new home in the city’s Botanical Garden, which is where I enjoyed a delightful early afternoon lunch. This mid-city oasis provides a This mid-city calm and inviting environment oasis provides a with a locally-sourced, plantcalm and inviting based menu. Big windows add to the experience by showing off the environment with busy, beautiful city on one end and a locally-sourced, the bold colors of the botanical garden on the other. With a lovely plant-based menu. bar featuring wine, beer, and Trellis in Greater Des Moines cocktails, fast service, and free WiBotanical Garden Fi, one could easily enjoy a lunch of Open 11 a.m.-2 p.m. solitude as a midday escape. Trellis Tuesday-Sunday also has tables for two or more to 909 Robert D. Ray Dr. catch up with friends as well as large Des Moines spaces to hold a bridal shower or 515-323-6288 other party. dmbotanicalgarden.com/ Chefs Lisa LaValle and Rose visit-us/dine/ Punelli change the menu monthly, inspired by what’s seasonal, fresh, and available. Recipes might be repeated once a year with new twists or small improvements. The December menu during my visit featured Potato Dill Soup, Colorful Cruciferous Salad, Wild Rice Fruit Salad, Turkey Spinach Artichoke Crepe, Butternut Squash Pasta, and Date Pudding, among other delectables. The warm and cozy Potato Dill Soup perfectly blends spices without being overwhelming and was a great choice for cooler weather. The Colorful Cruciferous Salad and Wild Rice Fruit Salad may be the most exciting salads I’ve ever eaten. Packed with ingredients and flavors such as sautéed red cabbage mélange and oven-roasted peaches, a small portion of salad pairs well with another dish, such as the soup. Butternut Squash Pasta was quite the treat with both a creamy béchamel sauce as well as pesto. Red peppers, tomatoes, and butternut squash keep the dish from being too heavy and the side of citrus (orange and grapefruit) was a great way to cleanse the palate between bites. To meet my vegetarian tastes, the chefs at Trellis made it easy by removing meat from a couple items, one of which was the Turkey Spinach Artichoke Crepe. Although it was wonderfully delicious and thick, removing the turkey left this dish more like a spinach artichoke dip appetizer. If taking the vegetarian route, perhaps pair this with a salad and ask for a side of mini toasts. Rather than listing desserts on the menu, the server comes to your table displaying each one for you to pick straight off the tray. If I were to choose the highlight of the meal, it would be the Date Pudding. The natural sweetness of the dates comes through easily, keeping this dessert simple and satisfying. Date Pudding paired with a coffee or cider would be reason enough to enjoy the ambiance of Trellis. This will be the first place I take friends and family who come to visit. Exploring the botanical garden and gift shop after the meal makes for an enchanting afternoon and a splendid introduction to the uniqueness of Des Moines. I immersed myself in yoga at the tail end of a past relationship. It started to reveal an internal strength that enabled me to finally move on from a relationship that was surviving only because of a fear of facing the heartbreak of ending it. Practicing yoga makes it easier to be at peace with all situations, from handling heartache to learning to love again. Yoga has taught me practical skills to assess and reduce both inner and outer agony. I have learned to breathe and move from a center that’s not so swayed by circumstance but compassionately stable and present with the occasions of each moment. Amidst my darkest hours, the practice of yoga has served to magnetize the broken pieces of my mind and reflect them whole within my heart. When I initially perceive a deep loss, pain, or suffering, I allow my emotions to pass, mindful and appreciative of my breath and poise—often revealing an imprecise estimation of a much broader context worth recognizing and perhaps even celebrating. “How has yoga healed your broken heart?” Whether you are 22 or 62, everyone has experienced loss and grief, perhaps in the form of losing a longtime friend, lover, job, death, or divorce. How has your yoga practice helped alleviate the pain you felt or still feel? Yoga came to me in a time of depression and heartache. I was wrapped up in toxic relationships, losing track of who I was and my sight of reality. I was drowning in my illusion of love. Yoga invited me to see myself in new light and opened doors to love within. I began practicing every day, unraveling the hurt and reconnecting my true self. I was able to accept who I was, learn to love not only myself but also people around me. Yoga saved my soul. Cleans EVERYTHING with only water! Use dry or wet to clean everything with outstanding results! Available in four colors! Begin the new year with an open heart that is ready for life and intimacy by cultivating trust, acceptance and happiness.